Pick you up from your hotel by our private tour guide & driver at 8:30 AM. Stand on the Shanghai World Financial Center to have a bird’s view of whole Shanghai. Come to the Yuyuan Garden to appriate the beautiful garden art of south China classical gardens. Visit Jade Buddha Temple, which is famous for the two Burmese jade Buddha statues. Be transferred back to your hotel. Pick you up from your hotel by our private tour guide & driver at 8:00 AM. 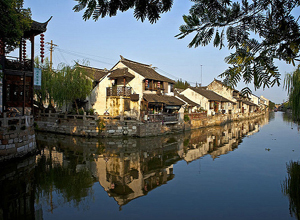 Drive to Fengjing Ancient Town (about 2 hours drive), which is a typical south China water town, outstanding with numerous river channels, old streets, well-preserved houses and densely built bridges. Drive back to your Shanghai hotel. The day trip goes at the beautiful Yuyuan Garden, a classical south China garden with delicate layout, the Bund along which lies different foreign style buildings, and the Oriental Pearl Tower for a panorama of Shanghai. Transfer back to your hotel. End of our service. 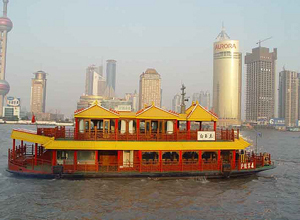 First, take a cruise on Huangpu River and enjoy the city views. 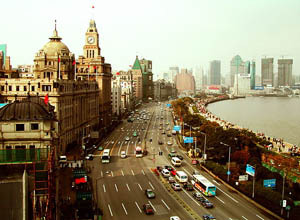 Have a stoll along the Bund to appreciate the different style foreign buildings in colonial period. 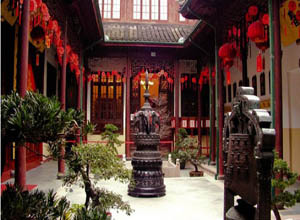 Finally stop at the world’s first-rate Shanghai Museum to know more about Chinese history and culture. Pick you up from your hotel by our private tour guide & driver at 8:30 AM. The guide will hold a paper sign with your name on for you to recognize. Firstly visit Shanghai World Financial Center, the highest building in Shanghai to have a panorama of the city. 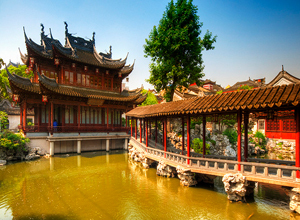 Then move on to the beautiful Yuyuan Garden to appreciate the delicate garden art of classical south China gardens. After a Chinese lunch, come to the Bund. It is the most important attraction in Shanghai, which is attractive for the different style foreign buildings of the colonial period of the city. Be transferred back to hotel after the day trip. Pick you up from your hotel by our private tour guide & driver at 8:30 AM. The guide will wait at the lobby, holding a paper sign with your name on for you to recognize. 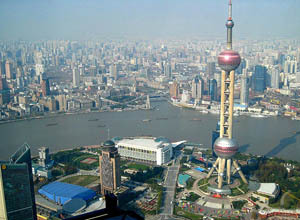 The high landmark attraction Oriental Pearl Tower gives panorama of Shanghai. The Urban Planning Exhibition Hall is outstanding for its high-technology display method for the achievement of the city in urban planning and development. After Chinese lunch at local restaurant, we will enjoy a pleasant cruise in Huangpu River. Transfer back to your hotel. End of our service.